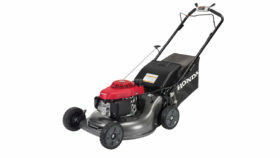 The Honda Eu3000i Handi provides 3,000 watts of portable power with built in wheels and folding handle. If you are looking for an extremely quiet powerful generator that is designed for RV camping and portable emergency back-up power then buy an EU3000i Handi. $2,650.00 6-Point Service Price (Pro-assembly with Free gas/oil, Safety & Maintenance Demo, $30 value 1st Break-In Service, Lifetime oil change on 4-cycle gear). Pre-order and get In-store pick-up. $2,599.95 Cash Price, in-store pick-up (Pro-assembly with Free gas/oil, $30 value 1st Break-In Service, Lifetime oil change on 4-cycle gear, and safety & maintenance demo).